Every now and again I like to look at the best which our area has to offer. This won’t be in most people’s price bracket but for the lucky few this could just be the ideal family home.Click the link and enjoy…. http://www.rightmove.co.uk/new-homes-for-sale/property-54299669.html If nothing else may it could make a lovely start to your weekend. If you have available cash and would like to view then give the agent, Savills a call. 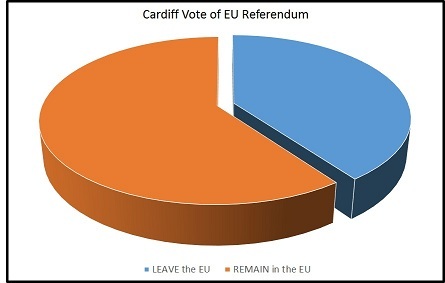 60% of Cardiff Voters voted to Remain the EU – What now for the 111,007 Cardiff Landlords and Homeowners? This jumped out at me as I was scanning Zoopla for potential property deals for one of my retained clients. The apartment is located in the Ferry Court development. It’s a one bedroom flat which looks in a pretty good condition, possilbly just needs a lick of paint to freshen it up. These one beds always seem to rent well and attract good quality professional tenants. The only thing to bear in mind is one beds do tend to have a higher turnover of tenants so you wil have to consider potential vacant periods in between tenancies. Although from experience these don’t tend to be long. It has come on the market with Purplebricks for £112,000 and for more details click on the link below. 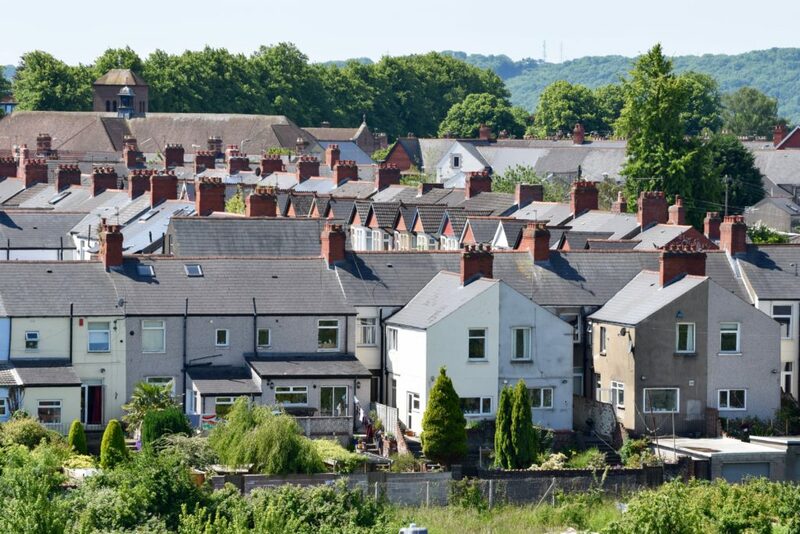 39% of Cardiff people Rent – Is that Healthy? Renting used to be a dirty word in the 60’s and 70’s. You either lived in a ‘Rigsby Rising Damp’ style bedsit with wood chip on the wall and a coin operated electric meter (that buzzed in the night) or you lived in a council house. In the latter part of the 20th Century, the British were persuaded that rent payments were ‘wasted money’. However, owning often makes less financial sense than renting and as the rate of homeownership is starting to drop substantially, as we roll the clock forward to today, there is no stigma at all to renting .. everyone is doing it. In fact, of the 323,659 residents of Cardiff, 125,567 of you rent your house from either the local authority/social provider (ie council house or housing association) or private landlords – meaning 38.79% of Cardiff people are tenants. The idea of homeownership is deeply embedded in the British soul, in fact 192,926 Cardiff people live in an owner occupied property (or 59.6%). Housing is at the heart of Government policy, as George Osborne has promised 200,000 new properties a year so first time buyers can buy their first home whilst recently changing the tax laws for buy to let landlords. To get votes, Thatcher (and everyone since) ran election campaigns promising everybody their own home, and as a country, we seem to equate homeownership the goal of British life. So as more and more people are renting nowadays, are we turning to a more European way of living? Well, I believe, as a country, we are. In fact, homeownership could be affecting your health! The UK, according to Bloomberg, is only the 21st most healthy country in the world. Germany is at No.10 and Switzerland at No.4 and homeownership is at 52.5% and 44% respectively in those countries (in the UK it is 64.8%). I am not suggesting that low homeownership rates in Switzerland and Germany are directly linked to health, nor, do I expect Brits to all go to Berlin, Interlaken or Düsseldorf and realise how happy people are when they don’t need to worry about all the stresses which accompany homeownership. The numbers for Cardiff do go some way to back up the argument (and they are the same across the whole of the UK). Nonetheless I do think that substantially all of the upside to homeownership in recent years has been a function of monumental rising house prices. Now that’s come to an end, it’s hard to see why anybody would want to buy? Renting is here to stay in Cardiff Bay and it’s growing incrementally each year. Even with the new tax rules for landlords, buy to let is still a viable investment option for most people in the area. 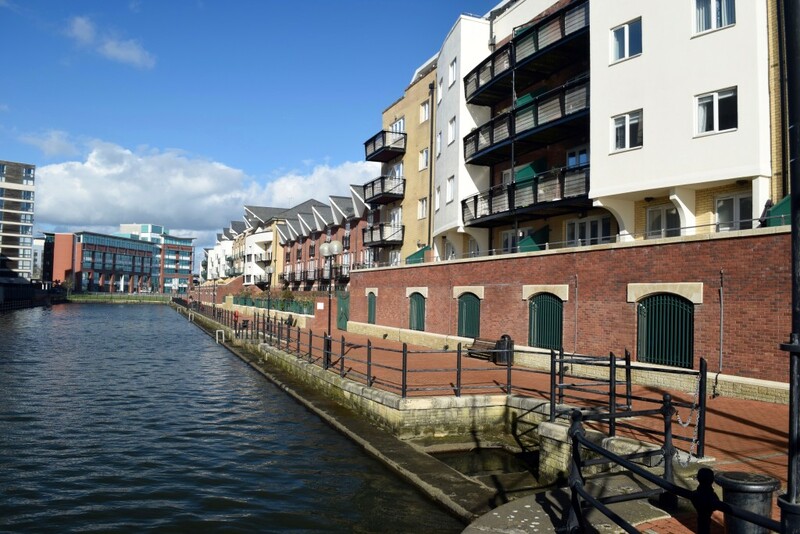 There has never been a better time to buy buy to let property in Cardiff Bay, but buy wisely. Gone are the days that you would make profit on anything with four walls and a roof. Take advice, take opinion, do your homework. I was reading the Sunday Papers, as is my want and, when reading the financial pages, it was announced UK inflation had increased to its highest level in a year. Inflation, as calculated by the Government’s Consumer Prices Index, rose by 0.3% over the last 12 months. The report said it had risen to the those ‘heady’ levels by smaller falls in supermarket and petrol prices than a year ago. If you recall, in early 2015, we had deflation where prices were dropping! So what does this mean for the Cardiff Bay property market … especially the tenants? Back in November, the Office of National Statistics stated average wages only rose by 1.8% year on year, so when adjusted for inflation, Cardiff Bay people are 1.5% better off in ‘real’ terms. Great news for homeowners, as their mortgage rates are at their lowest ever levels and their spending power is increasing, but the news is not so good for tenants. The average rent that Cardiff Bay tenants have to pay for their Private Rental Properties in Cardiff Bay (i.e. not housing association or council tenants) rose by 1.6% throughout 2015, eating into most of the growth. 2015 wasn’t a one off either. In 2014, rents in Cardiff Bay rose by 1.4% (where salaries only rose by only 0.2%) However, it’s not all bad news for Cardiff Bay tenants, because in 2013 rents rose by 1.9%, (but salaries rose by 2.2%). More and more, talking to 20 and 30 somethings who rent – it’s a choice. Gone are the days where owning your own property was a guaranteed path to wealth, affluence and prosperity. I know keep mentioning Europe, but some of the highest levels of home ownership are in Romania at 96.1%, Hungary at 88.2% and Latvia at 80.9% (none of them European economic dynamos) and even West European countries like Spain at 78.8% and Greece at 74% (and we know both of those countries are on their knees, riddled with national debt and massive youth unemployment). At the other end of the scale, whilst we in the UK stand at 64.8% homeownership, in Europe’s powerhouses, only 52.5% of Germans own a home and only 44% of Swiss people are homeowners. Looks like eating chocolate, sauerkraut, renting and good economic performance go hand in hand. Yet, joking aside, home ownership has not always been the rule in the UK. In 1918, only 23% of people were homeowners, with no council housing, meaning in fact, 77% were tenants. Tenants have choice, flexibility to move, they don’t have massive bills when the boiler blows up, it’s a choice. Cardiff Bay rents are growing, but not as much as incomes. To buy or not to buy is an enormously difficult decision. For while buying a Cardiff Bay home is a dream for the majority of the 20 and 30 something’s of Cardiff Bay have, it might not leave them better off in the long run and it isn’t necessarily the best option for everyone. That is why, demand for renting is only going in one direction – upwards. I do like to have a coffee at Coffee Mania on Mermaid Quay in Cardiff Bay. Whilst in there, a suited gentleman approached me and asked if I was the person who wrote the newsletters about the Cardiff Bay property market. We ended up having an interesting chat about the local property market, as he was concerned his daughter would never be able to buy her own property, a place in Cardiff Bay she herself can call home. My latest analysis, using the Land Registry and Office of National Statistics, shows that overall, month on month, Cardiff Bay property values increased by 0.3%. The year on year figures showed the value of residential property in Cardiff Bay has increased by 5.8% in the year to the end February 2016, taking the average value of a property in the council area to £57,439. It gets even more interesting when we look at the last few months’ figures and see the patterns that seem to be emerging. 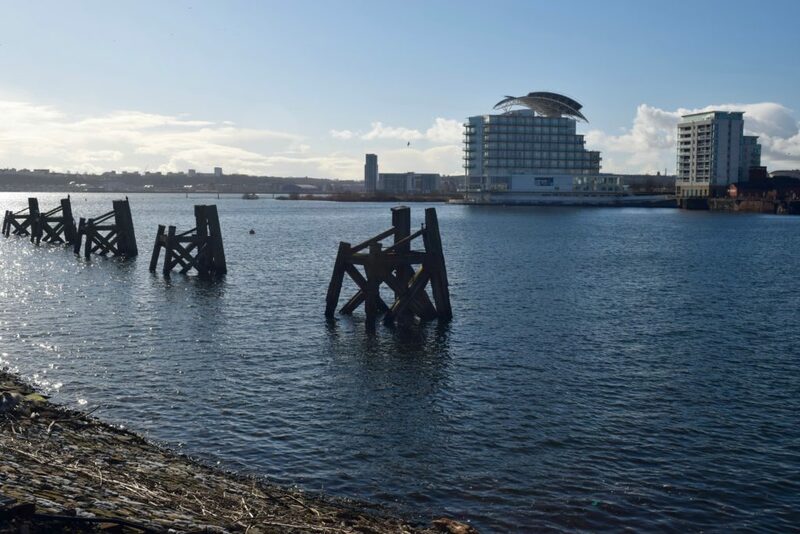 We have talked in many recent articles about the lack of properties being built in Cardiff Bay over the last 30 years. This lack of new building has been the biggest factor that has contributed to Cardiff Bay property values still being 168.75% higher than in 1995. At the risk of repeating myself, until the Government addresses this issue, and allows more properties to be built, things will continue to get worse as the UK population grows at just under 500,000 people a year (which is a combination of around 226,000 people because of higher birth rates/people living longer and 259,000 net migration) whilst the country is only building 152,400 properties a year – no wonder demand is outstripping supply. Another reason intensifying the current level of property values in Cardiff Bay, is the fact that people aren’t moving home as much as they used to, meaning fewer properties are coming onto the market for sale, so in consequence, there is a lack of choice of property to buy, meaning people thinking of moving are discouraged from putting their property on the market … thus perpetuating the problem, as the scarcity of possible properties to buy in order to move also deters people from offering their home for sale. This unevenness between demand from would-be purchasers and the number of properties coming on to the market for sale is causing pressures in Cardiff Bay (and the rest of the UK). So what of the future of the Cardiff Bay property market and this man’s daughter? I firmly believe the property market in Cardiff Bay and the country as a whole is changing its attitude about homeownership. Back in the 1960’s, 70’s, 80’s and 90’s, getting on the property ladder was everything. Since the late 1990’s, we as a country (in particular, the young) have slowly started to change our attitude to homeownership. We are moving to a more European model, where people choose to rent in their 20’s and 30’s (meaning they can move freely and not be tied to a property), then inherit money in their 50’s when their property owning parents pass away, allowing them to buy property themselves … just like they do in Germany and other sophisticated and mature European counties, meaning his daughter will end up owning property, just later in life than we did. So, whatever the vote on the 23rd of June, if you think about it, we might be more European than we think! Will Brexit affect the Cardiff Property Market?